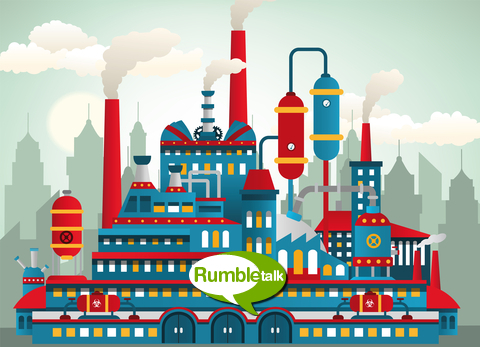 Like Charlie Chaplin in Modern Times movie, there’s never a dull moment at the RumbleTalk Labs. Our developers are always busy creating new chat features to add DIY (do it yourself) settings and make RumbleTalk group chat perform faster, our designers are constantly trying out various group chat layouts that make new chat rooms look fabulous; and the testing squads are hard at work to make sure that everything works according to plan! In this post, we’d like to introduce you to a list of newly-released RumbleTalk features that we are especially proud of. These new additions will improve your own group chat features settings experience, and provide you with a stronger and more striking end-product. Yes, Multimedia for “admin only” feature is powerful tool. It lets you control the way your users will be able to use the advance multimedia features. Settings are easy and can be changed at any given moment. 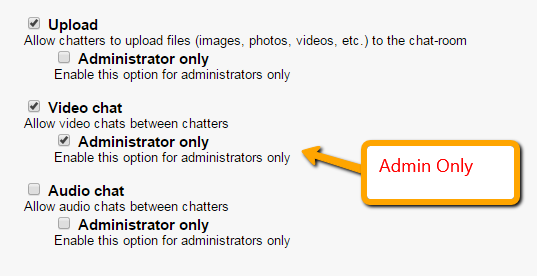 Now you can enable this options for administrators only. This options include. A newly advanced design option that allows you to upload images for every section of the advanced design tabs. Now next to each image field like background, there is a small green plus icon that clicking on it will allow you to add images from your own pc. A newly-designed set of skins added to theme gallery is now available. You may choose between a new designed skins or create one yourself. With this skin, you can add a your own tweaks using css. Changes will appear instantly in the chat feature – preview page.